As I forecasted on the day that the death of the Caucasus Emirate’s (CE) late amir Ali Abu ad-Dagistani (born Aliaskhab Kebekov) was announced and several times afterwards, the CE’s new amir has been officially announced on the CE’s two main websites to be Dagistani’s long-time close associate ‘Abu Usman Gimravii (Gimriiskii)’ (born Magomed Suliemanov) (“Amirom Imarata Kavkaz stal Abu Usman Gimrinskii,” Kavkaz tsentr, 5 July 2015, http://www.kavkazcenter.com/russ/content/2015/07/05/109562/amirom-imarata-kavkaz-stal-abu-usman-gimrinskij.shtml and VDagestan, 5 July 2015, http://vd.ag/amirom-imarata-kavkaz-stal-abu-usman-gimrinskij.djihad). Before his selection as CE amir, Gimravii was the Shariah court qadi of the CE’s Dagestan network, the Dagestan Vilaiyat (DV), and simultaneously the amir of the DV’s Mountain Sector (GS). Gimravii’s succession of Dagistanii marks the continuation of the North Caucasus mujahedin’s center of gravity being located in Dagestan and the DV, as it has been since April 2010. 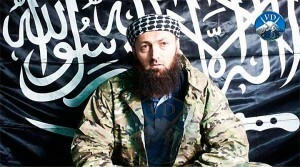 The DV has led the CE’s vilaiyats in the number of attacks annually and monthly ever since, paving the way for a Dagestani to succeed as the CE amir (as I predicted years prior to the event) its founder, the ethnic Chechen ‘Abu Usman’ Doku Umarov, killed in September 2013 (https://gordonhahn.com/2011/05/15/islam-islamism-and-politics-in-eurasia-report-40/). This also marks another point of continuity: both Dagistani-Kebekov and now Suleimanov-Gimravii were ethnic Avars, the largest ethnic group in Dagestan. As noted in previous articles, Gimravii is faced with the daunting task of reviving the CE after years of emigration by CE mujahedin to Syria and other fronts in the global jihad. Moreover, he must also contend now with a competitor in the region, the Caucasus Vilaiyat of the Islamic State (CVIS), which was recently founded by defecting CE amirs and consecrated with the approval of IS ‘caliph’ Abu Bakr al-Baghdadi (https://gordonhahn.com/2015/07/03/the-caucasus-vilaiyat-of-the-islamic-state/). Judging by the rank and number of CE amirs, including key DV amirs, who have declared their loyalty to IS and Baghdadi, as I have noted in numerous previous articles, the CE has likely lost the overwhelming majority of its mujahedin to CVIS now after years of exodus of mujahedin and potential recruits to Syria and Iraq. Gimravii is likely faced with two choices in competing with CVIS. One approach would be to compete by outbidding the IS affiliate in terms of brutality in tactics, reviving the CE’s use of suicide bombings to the level of 2009-10 if there is sufficient capacity, which is unlikely. An alternative would be to retain amir Dagistani’s of constraints on suicide bombings by not attacking Muslim civilians or deploying female suicide bombers. This would coincide with AQ’s less aggressive tactics with regard to Muslim populations compared to IS’s scorched earth strategy of mass killings of Muslim civilian populations, indiscriminate suicide attacks, elaborate mass killings of prisoners, and subjugation of Muslim female populations as slaves. Gimravii is likely to retain AQ’s approach and support of AQ in its struggle with IS for the leadership of the global jihadi revolutionary movement. The CE’s official announcement included a brief biography of Gimravii and some new details of his history. Most notably, like numerous other CE leaders Suleimanov-Gimravii studied Islam abroad, and like his predecessor, Dagistani-Kebekov, he did so in Syria. Gimravii was born on 29 February 1976 in the Dagestan mountain village of Gimri, which was the ‘capitol’ of Imam Shamil’s self-declared independent Caucasus state and center of his increasingly radicalized and shariatized resistance to Russian rule in the 1840s and 1850s. In 1983 he began study in the Gimri Middle School. In the same year he also began to learn to read the Koran from his father Ali Suleimanov. After finishing his early years in school, he was sent by his family to the village of Uchkent to study Shariah with the then famous Dagestani sheikh Mukhammad al-Khushtadii. The CE announcement lists the titles of nine books on Shariah that the young Gimravii studied: ‘Mabdau al-Kiraa’ in Arabic, ‘Tasfir al-Izzii’ in Arabic, ‘MiatuAmil’ on grammar, ‘al-Ajurrumiiyah’ on grammar, ‘Sharh al-Jami’ on grammar, ‘Minhajuat-Talibin’ on law (fiqh), ‘al-Jalalain’ on Koranic interpretation (tasfir), and ‘Fath al-Mubin’ on the hadiths of the Sunna. After the Soviet collapse, Gimravii was one of the many thousands of Caucasus, Tatar, Bashkir and other Muslims from Russia who went abroad to study Islam. Many of them would join the CE and its predecessor, the Chechen Republic of Ichkeriya, helping to jihadize the latter organization and facilitating its transformation into the CE. In 1992-98 Gimravii traveled to Syria and entered the ‘al-Fath al-Islamii’, an Islamic institute in Damascus. Thus, he spent the entire first Chechen war abroad and returned to Dagestan after Al Qaida had penetrated the ChRI and many Dagistanis began training and being indoctrinated in jihadism in the camps established by AQ under the command of Khattab and Chechen filed commander Shamil Basaev. In 1998, near the end of the inter-war period, we saw their first ChRI incursion into Dagestan at Buinaksk and their formation of the Congress of the Dagistani and Chechen Peoples intended to help foment a jihadi uprising in Dagestan. Thus, having been radicalized ideo-theologically abroad, Gimravii returned home to a situation that was pregnant with jihadi revolt and a need for those well-schooled in Salafism. Returning home in 2005, Gimravii would have been aware of the rising tide of jihadism under the ChRI and among a small but growing number of allies in Dagestan. Details on this early phase of the jihad in Dagestan are available in my books – Russia’s Islamic Threat (Yale University Press, 2007) and The Caucasus Emirate Mujahedin: Global Jihadism in Russia’s North Caucasus and Beyond (McFarland, 2014). The CE announcement’s biography of Gimravii says that upon returning to Dagestan in 2005, “(b)eing a preacher, he did not break off his participation in Jihad.” On 11 October 2005, two years before the founding of the CE, Gimravii commanded a group of mujahedin in an attack on OMON troops who had surrounded the Gimri Tunnel Road in which a group of ChRI-tied Dagestani mujahedin were trapped, freeing them. In 2006, Gimravii was selected “the qadi of the Dagestan Vilaiyat,” according to the brief biography, which did not exist yet since the CE and its vilaiyats were not formed until 2007. The point here is that he was selected the qadi of Dagestan, likely by ChRI-tied Rabbani Khalilov who was the amir of the Dagestan mujahedin at the time. According to the announcement’s bio of Gimravii, in 2007 Gimravii was appointed by DV amir Seifullah to be the amir of the Mountain Sector. Since Gimravii was never identified on any CE or DV websites as the DV qadi until 2010, it appears he was replaced in this position, when the CE was formed in October 2007 and he was appointed Mountain Sector amir. Also, at that time, Seifullah Gubdenskii – about whom the biography appears to be talking when discussing his appointment of Gimravii as Mountain Sector amir – was not necessarily in a position to make such an appointment. Gubdenskii became the DV’s amir only in early 2010. Dagistani, the CE’s qadi when Gubdenskii was its amir, appointed Gimravii the DV’s qadi. According to the announcement’s biography, Gimravii then opened a shariah court in Gimrii, “which subsequently became the only shariah court in the DV. However, as I note in my The Caucasus Emirate Mujahedin: Global Jihadism in Russia’s North Caucasus and Beyond, there were several qadis under the DV at that time (pp. 166-67). In April 2013, the announcement says that a large group of ‘infidel’ forces surrounded Gimravii and mujahedin in one of the quarters of Gimri, but Gimravii and the mujahedin managed to fight their way out of the encirclement. The CE announcement’s biography might contradict a detail provided by his predecessor, Dagistani-Kebekov, about his own biography. Dagistani says that in 2009 that Gimravii was then “a qadi of Dagestan”, and at that same time they decided on Gimravii’s suggestion together on the latter’s proposal to go “on the path of Allah, on the path of jihad” together. Thus, Dagistani’s details seem to suggest that Gimravii joined the jihad only in 2009 and not in 2005 (https://gordonhahn.com/2015/02/09/amir-of-the-caucasus-emirate-sheikh-ad-dagistani-reveals-new-biographical-details/). Дистанцируют себя ли США от украинских нео-фашистов (или нет)?